Any YouTube sound downloader to help as I literally have no sound on YouTube videos and have tried every suggestion online? All YouTube videos in all browsers play video fine but no audio. Very frustrating.Youtube sound is not working in any video that I try to play. I tried everything but nothing work. I'm tired of troubleshooting and I wonder any YouTube audio downloader can help me download sound from YouTube. Sure, free will be preferred. 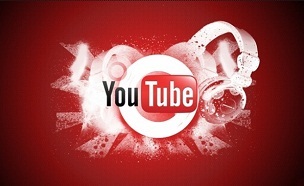 The more you have spent time surfing YouTube, the more problems you will meet with YouTube. And YouTube sound not working is admittedly one of the most common YouTube problems. Causes to the no sound on YouTube videos problem vary distinctly from web browser to advanced settings. If you're lucky, simply to clean the cache may fix the problem; if you're out of luck, it can be a time-consuming process to get audio from YouTube. Why bother, a good YouTube sound downloader can solve those problems once and for all. To fix no sound from YouTube problem, here we introduce four different YouTube music downloaders. You can choose the one that suits you most to download sound from YouTube and get rid of any sound on YouTube not working annoyances. MacX Video Converter Pro is a YouTube downloader which works seamlessly under Mac (macOS Mojave supported) and PC (Windows 10 incl.). This downloader helps to get audio from YouTube (and other 1000+ sites) by free downloading and converting any YouTube movie soundtracks/music videos into MP3, AAC, iPhone Ringtone, AC3, WMA, AIFF, CAF, DTS, OGG etc as well as various video formats without quality defects. Besides, it can directly free download YouTube sound to iPhone iPad Android devices. No sound on YouTube videos? Many web browers are also equipped with tools to free download audio from YouTube. 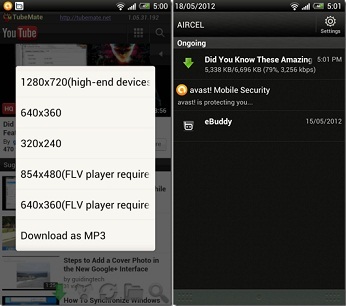 This YouTube download add-on can easily download YouTube videos and extract MP3/AAC/M4V original audio files. However, you have to install FFmpeg and it has trouble with HD/UHD videos sometimes. Furthermore, it's limited only to YouTube which means you can download sound from YouTube only. Maybe the most direct and convenient way to get MP3 free download from YouTube is through the use of online YouTube download sites. Considering the need to free download YouTube sound/audio/music, Clip Converter is a qualified service you may try. By simply paste the URL of YouTube video/music (HD/4K UHD) and choose MP3, M4A or AAC, you can get audio from YouTube easily. The only drawback is that both the supported site and output formats are rather limited. Well, if you have no sound on YouTube videos when playing on your iOS or Android devices, some YouTube audio downloader apps are designed to help you fix the YouTube sound not working problem by MP3 free downloads from YouTube to mobiles directly. For iOS users, YoutubeToMp3 is a sound option to download any YouTube video into MP3 on iPhone iPad iPod; for Android users, you may go to TubeMate, which will also free download sound from YouTube in MP3 format. Both free music download apps can output the downloaded music/songs in audio format limited to MP3 only. The above YouTube sound downloader helpers are all good enough to cover your needs to download audio from YouTube or fix any YouTube has no sound problems. Considering the supported download sites, output formats, quality and speed of MP3 free download from YouTube, we would like to show you the detailed download steps by using the most comprehensive YouTube MP3 downloader: MacX Video Converter Pro. Before we start, free download this downloader for YouTube sound music on Mac (latest macOS Mojave supported and iMac/MacBook Pro/Air all incl.). Or go to the windows viersion (Windows 10 supported) for PC users. 1. Click "YouTube" on the main interface to enter the video downloader interface. And open your browser to find the video file you’d like to download with audio or have sound problem with. Then copy and paste the URL to the Box and click "analyze". Or click "paste & analyze" button to automatically detect the music details. 2. Choose output music format (MP3/WMA/WAV/AAC etc if you want to get the audio from YouTube only or MP4, MKV, AVI, MOV etc to get the video with audio), devices (iPhone X/8/7/6s/6/Plus/5S/5C, Samsung, HTC etc), resolution and file size you want. 3. Specify the destination folder on your computer to save the downloaded YouTube sound by clicking "Browse" button. 4. Hit "Download Now" and the YouTube sound downloader will start to free download sound from YouTube. Note that a music video can be downloaded by the YouTube downloader within 30 seconds ONLY! Within minutes, you’ll no longer be bothered by any no sound in YouTube videos error. While YouTube music song downloader is the recommended solution to get rid of no sound from YouTube errors, there are many other tips to fix the problem if you prefer other ways. 1. Web browser. Make sure your web browser is the latest version or switch to other browsers like IE, FireFox, Chrome etc. 2. Adobe Flash player. Try to uninstall and re-install this program or get the recent FlashPlayer updates. 3. Mute icon. Check if your Flash update leaves the volume slider of the Flash Player down and check if other volume slider is the cause to the YouTube errors with sound. 4. Cookies. Clear all the Cookies, History and Temporary Internet Files to ensure that NOTHING is interfering with YouTube settings. 5. Sound card. See if your sound card is working well by simply opening a video on other site. 6. Close any open multimedia and programs like any Messenger, music or video player, etc. 7. Disable the video accelerator of any kind.